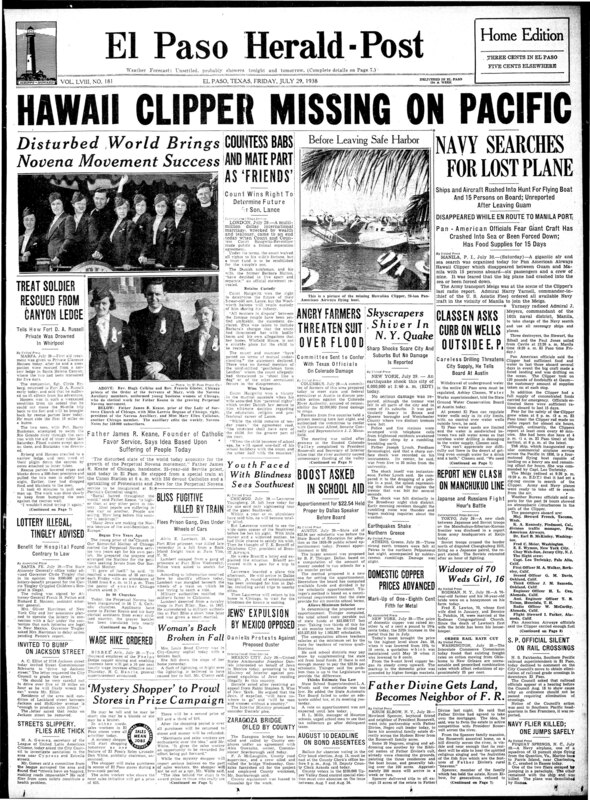 July 29, 1938, the Hawaii Clipper, on trip #229, was presumedly lost at sea 75 years ago today. The flying boat service between San Francisco Bay and Manila Bay required approximately sixty hours of flying time over six days with intermediate stops at Pearl Harbor, Midway Atoll, Wake Island and Guam. 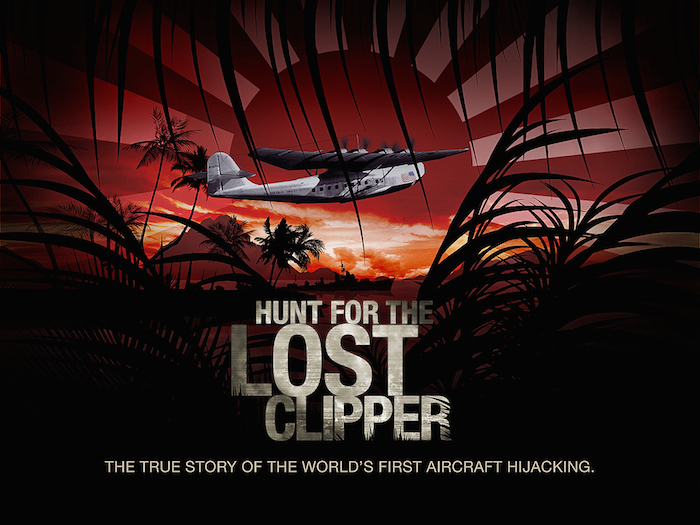 The Hawaii Clipper disappeared about 500 miles from Manila on the last leg of the westbound journey at 11:39 local time. The last radio contact was 3 hours 27 minutes later, when the aircraft reported flying through layers of clouds and moderately rough air 565 miles from the Philippine coast. The army transport USAT Meigs located an oil slick along the course of the lost aircraft about 500 miles from Manila, took samples and stood by to investigate yet was later determined the oil had nothing to do with the flying boat. While many thoughts, ideas and legends abound, I for one, believe it landed in Truk Lagoon, the passengers were removed and murdered. I say this because of eye witness statements given to others and some given to me by their children. It is a grim anniversary indeed, but one worth keeping dusted off with the hopes of soon, putting the mystery, and the victims, finally to rest in peace. 12:08 p. m. (P.S.T.) off water. 12:30 p. m. Air speed 96 knots, lai. 13.30. long. 144.08 E.
1 p. m. Temperature 13 degrees cent. Altitude 10,000 feet. Wind 10 knots, moderately rough. . . . Misty weather … at 11,000 feet. . . . Sea slight with no swells. No blind flying. 1:30 p. m. Air speed 105 knots. Lat. 13.36 N, Ions. 142.17 E.
2 p. m. Temperature 14 degrees cent. Altitude 10,000 feet. Wind 18 knots. Moderately rough. Lat. 13.32 N. lon& 141.10 E. Ground srpeed 111knots. … No blind flying. 106 M. P. H.
2:30 p. m. Air speed 108. Lat. 14.36 N, long. 140.20 E. 3 p. m. Air speed 107 knots. Temperature 13 degrees centigrade. Altilude 10.000 feet. Wind 18 knots. Light turbulent air. . . . Ground speed 111 knots. . . . Sea slight. No blind flying. 3:30 p. m. Air speed 107 knots lat 13.42 N. Ions. 138.22 E.
5 p. m. Airspeed 104. Temperature 13 degrees cent. Altitude 9900 feet. Wind 18 knots. Smooth from 22S. 13.40N, 135.40 E. … Six cumulus 9000 feet. Slight sea. No blind flying. 5:30 p. m. Air speed 105. Lat. 13.00 N, long. 135.13 E.
6 p. m. Temperature 13. Altitude 8600 feet. Wind 12 knots. Smooth . . 10 strata cumulus at 10.000 feet and10 cumulus at 11,000 feet. No blind flying. 7 p. m. Temperature 13. Altitude 10.000. Wind 19 knots. Light turbulent air … no blind flying. 7:30 p. m. Air speed 108 knots. Lat 12.15 N, long. 131.37 E.
8:09 p. m. came the final report after which silence swallowed all trace of the Hawaii Clipper: Temperature 13 degrees centigrade. Altitude 9100 feet. Wind 19 knots. Rough air from latitude 12.27. N, longitude 130.40. Ground speed 112. Desired track 282. Weather rain. Ten stratus cumulus at 9200 feet Ten cumulus at “7000 feet. Radio bearing 101. A year and a half ago a clipper ship found haven in a cove of Lamar Island in the only previous case in which one of the three boats in service was forced down. It failed to report for several hours. 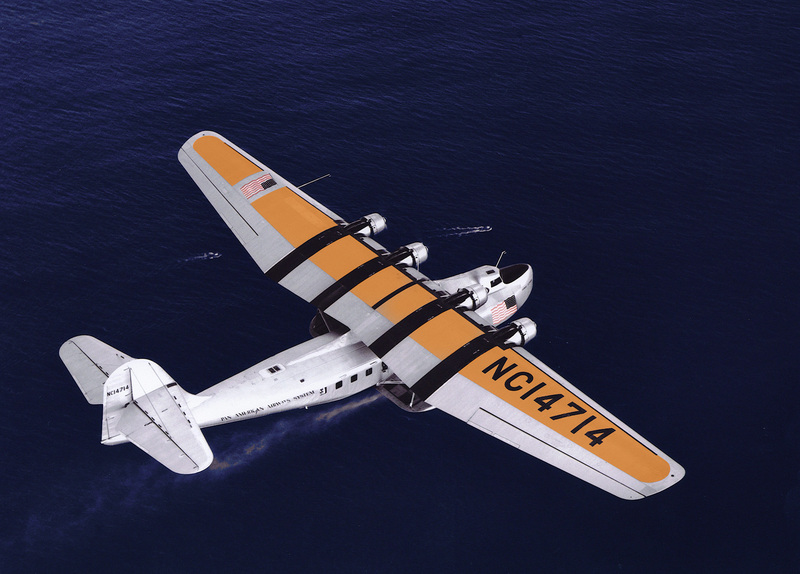 The recollection of this and the possibility the Hawaii Clipper might have encountered difficulty in raising her kite to fly an emergency radio antenna, furnished the greatest hope to Pan American officials that those aboard the flying boat were safe. The darkest part of the picture, Pan American Airways men admitted, was the sudden cessation of normal radio calls without any suggestion of a possible forced landing, and absence of subsequent reports from the ship, as her radio equipment is supposed to function from the water once the emergency aerial is raised. Airmen here said the radio failure indicated some sudden disaster might have overtaken the clipper. She would sink only if destroyed by an explosion, as was the Samoan Clipper on an Australian pioneering flight earlier this year, or if she hit the ocean with such force that her sea-going hull was Shattered. There was little likelihood if the Hawaii Clipper dumped her gasoline that she would be distorted as she was protected by a new system of safety valves designed to prevent falling or vaporizing gas being ignited. Motor failure was discounted as a possibility. All four motors are overhauled, inspected and tested every trip. Three motors will sustain the ship in normal flight. Even with only two motors functioning, the flying boat could stay in the air for a time, and would not be forced down suddenly. She was flying at 9000 feet, which Pan American officials said “Ruled out the possibility of pilots error bringing disaster by flying too close to the ocean. Everything, Airways officials said, pointed toward the 15 men except the unexplained radio silence.